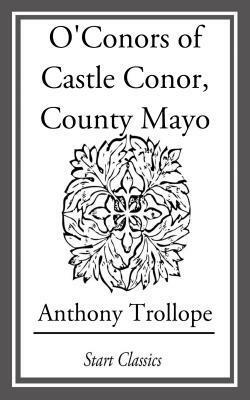 Anthony Trollope does not always quite get the point of the short story as a medium, but in "The O'Conors of Castle Conor," we have a delightful exception. For one thing, he does not weight the story down with a heavy superstructure of superfluous description. He begins in medias res with his English hero, Archibald Green, stuck in the wilds of Ballyglass, Ireland, without a proper introduction to the local lord, Tom O'Conor, who is a fox-hunting aficionado. What our hero does is join the fox hunt without an invitation, only to find that he is not only welcome, but asked to stay at Castle Oonor.The whole plot hinges on a pair of dancing pumps, which O'Conor's servant is supposed to fetch from the inn where he had been staying. The O'Conors, after all, have delightful young ladies and not dancing is out of the question. Instead of dancing pumps, the servant brings a pair of huge hobnail boots. The point of the story is how Archibald manages to get through the evening, but you'll have to find that out for yourselves.This is a most amiable story, full of the author's genuine love for Ireland based on the years he lived there.